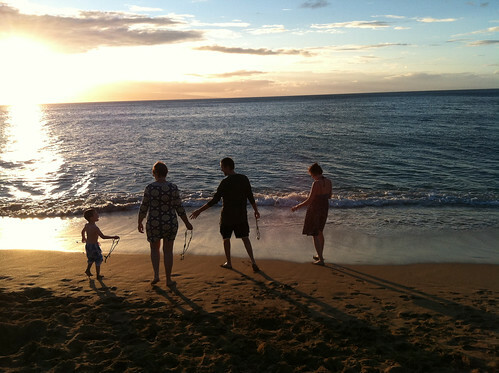 The last few days of our vacation was spent on Maui. Another beautiful island, though completely different from the black lava beauty of the Big Island. 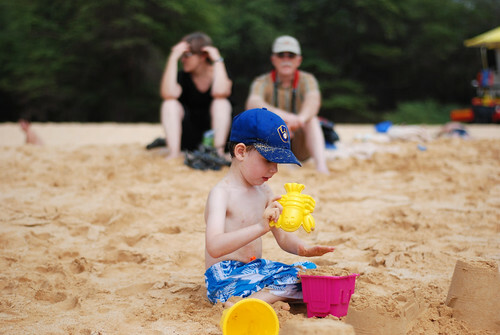 The weather was sunny and warm, so we spent a lot of time on the beach and in the pools. 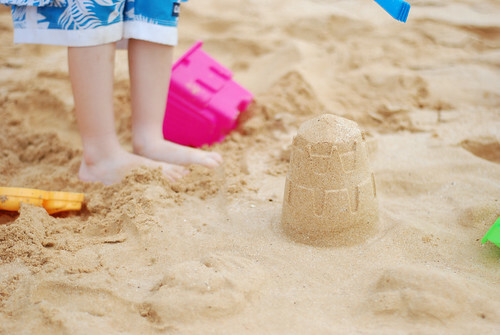 Walter loved playing in the sand. I think I'm still finding sand at the bottom of his bathtub! 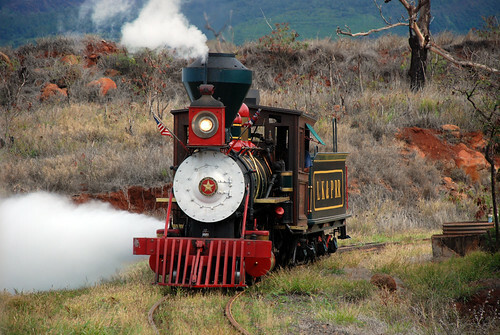 This island is also home of the Sugar Cane Train, located just a block from our hotel. I'm sure I don't have to tell you how happy this made Walter. 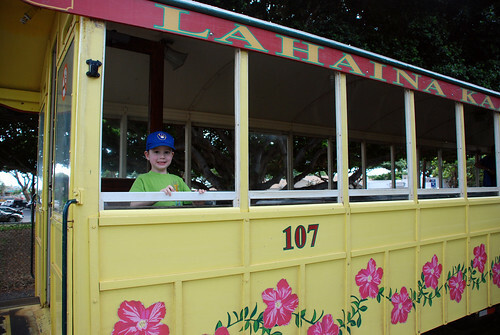 We took a few trips into town on that train, listening to our tour guide sing us Hawaiian Christmas songs. 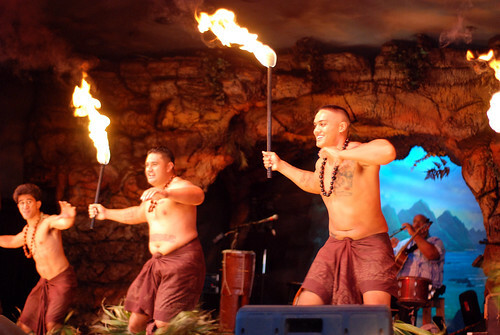 We went to a luau, where Walter excitedly told me, "I DO want to learn to hula!" Really? Up there on stage? In front of all these people? "Yes!" So, up he went, and I went with him. Boy oh boy, the things I do for this kid! I still haven't seen the photos from Grampa's camera, but I'm sure they'll turn up eventually. 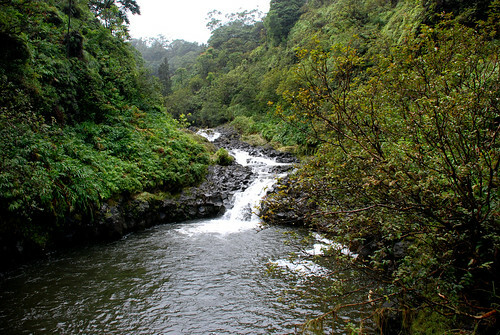 We drove the road to Hana – a long, twisty, turny, mountain road, with beautiful views and waterfalls. Walter wasn't impressed, but he was a trooper and, for the most part, happily watched movies the whole ride. 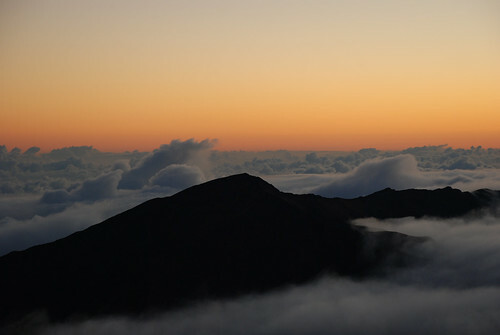 The most exciting part of Maui, for me, was the bike ride down Haleakala. A bus picked us up at 2am to take us to the top of the volcano. We lucked out with a clear night saw a few shooting stars from a meteor shower, and then the sunrise over the cloud-filled crater. After sunrise we got a little tour around the Haleakala National Park and then we hopped on our bikes and coasted down 28 miles of mountainside, with beautiful views of the rest of the island. Totally worth getting up so early in the morning! We went to the Maui Ocean Center, shopped in the little tourist towns, ate lots of delicious, fresh fish and even got to see some whales. Whale season started on the last day of our trip, and they arrived right on time. At the end of our stay, we tossed our leis into the ocean. They say if they return to shore, we will return to the islands. I hope they do! I really want to go there, it sounds wonderful! I too liked the bike ride. And we had rain and clouds and fog for a sunrise. We got an hawiann sunrise chant about starting the new day with positive expectations instead of the sunrise.I had reservations about 28 miles down the mountain, but it was so,so worth it. Thanks for the sunrise picture.